Slought Foundation and the John Cage Trust have joined forces to present How to Get Started, a unique and permanent interactive installation featuring a rarely heard performance by John Cage. 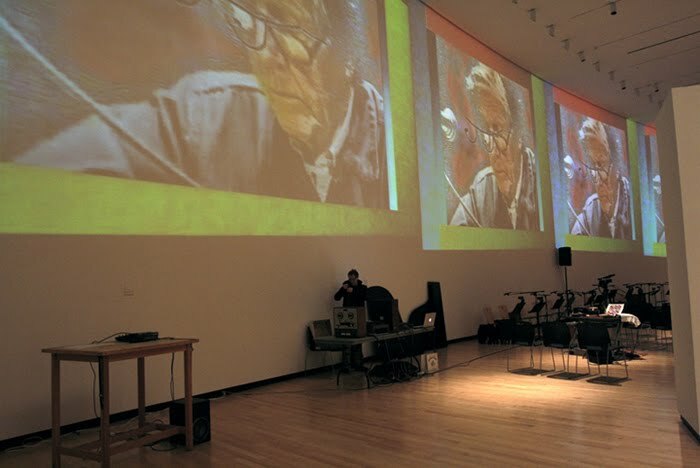 Curated by Laura Kuhn, Director of the John Cage Trust, Aaron Levy, Executive Director of Slought Foundation, and Arthur Sabatini, professor of Performance Studies at Arizona State University. Exhibition design by Ken Saylor, sound design by Peter Price, and exhibition graphics by Project Projects. 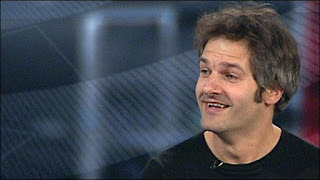 Engineering of John Cage's recording by Chris Andersen, Nevessa Production. 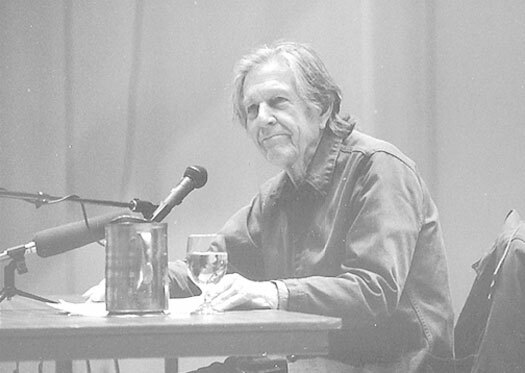 Photograph of John Cage by Loren Robare. This program is made possible in part through the generous support of The Pew Center for Arts & Heritage through the Philadelphia Exhibitions Initiative. 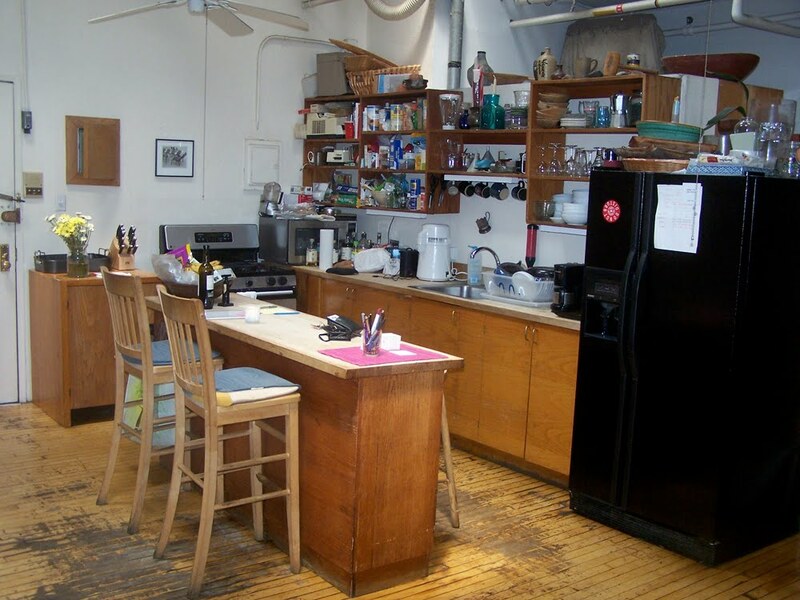 Support has also been provided by the Samuel S. Fels Fund, the John Cage Trust, and the Society of Friends of the Slought Foundation. 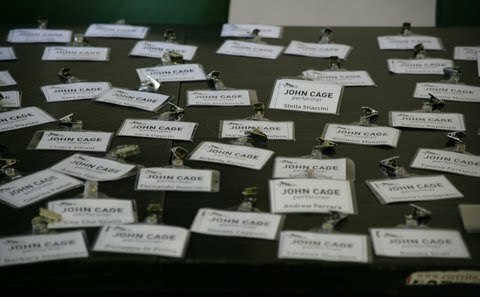 Sometimes the workload here at the John Cage Trust is such that important things sort of flit by, almost unnoticed. Once they finally attraction proper attention, however, they simply won't leave my head until I manage to pass them along to others. Such is the case with three distinct items from the past week or so, which I'm sharing here, below, in no particular order of import. 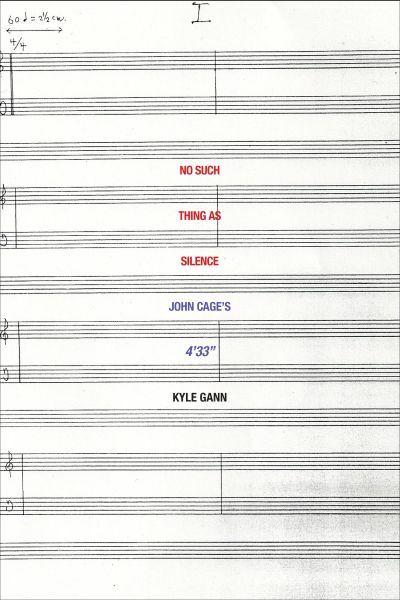 First, in case anyone's missed it: Kyle Gann's latest book, No Such Thing As Silence: John Cage's 4'33", is now available from Yale University Press. 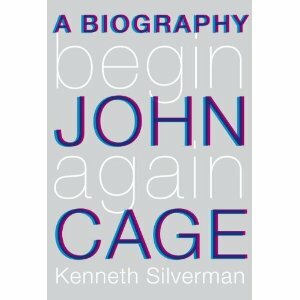 This book is really, really marvelous, and should be quickly devoured by any and all Cage enthusiasts, novice and seasoned alike. (I particularly loved the materials on Cage and Muzak, which I found both charming and enlightening.) Kyle is a colleague here at Bard College, but we've been friends for years, dating back to the days when he was the heralded music critic for The Village Voice. 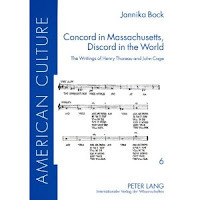 Gann's latest effort is really impressive, as much for what it is as for what it isn't: this is a reasoned, concise, playful, and soundly comprehensive book about John Cage's 4'33", without critical obfuscation -- no side bars, no witty anecdotal meanderings, no cheeky offhand remarks. 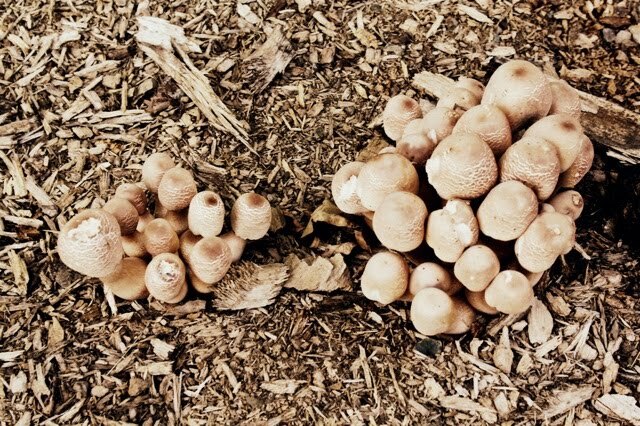 Just a very good read about a very important work. 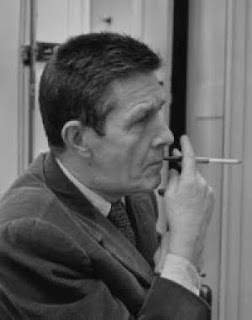 Second, virtually everyone knows John Cage's Water Walk, as performed by the master himself on the 1960 American TV quiz show "I've Got a Secret." While it hasn't garnered as much press as, say, Halberstadt's 639-year unfolding of Cage's ASLSP, or the kerfuffle that ensued over Mike Batt's alleged appropriation of Cage's 4'33" for The Planets' first CD, "Classical Graffiti," it is definitely the work by Cage, at present and to date, with the greatest World Wide Web presence. 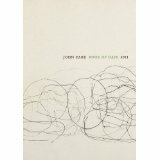 But what may have gone virtually unnoticed is a very nice article by the Toronto-based artist Laura Paolini on the subject of this performance within the context of what was arguably something of the best of prime-time American television in the early 1960s, entitled "John Cage's Secret". This is a really nice piece that digs a little deeper into Cage's forays into contemporary (dare I say pop) culture than most. It appeared in an interesting if little-known magazine emanating out of Montreal called Les Fleurs du Mal (specifically, Vol. 3, No., in an issue entitled "Secret"), which serves as a creative forum for emerging and professional artists. 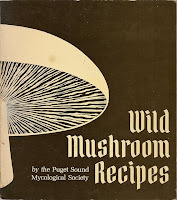 It's published only occasionally, with all of its content open to the public, so keep an eye out for the next edition. Third, and last, and a bit of a surprise, is the lovely Reverend Colin Bossen, Minister of the Unitarian Universalist Society of Cleveland, who recently gave a church worship service entitled "The Buddha Should be as Useful as a Can: Meditations on the Spirituality of John Cage" (Sunday, May 16, 2010, 11am-12noon). 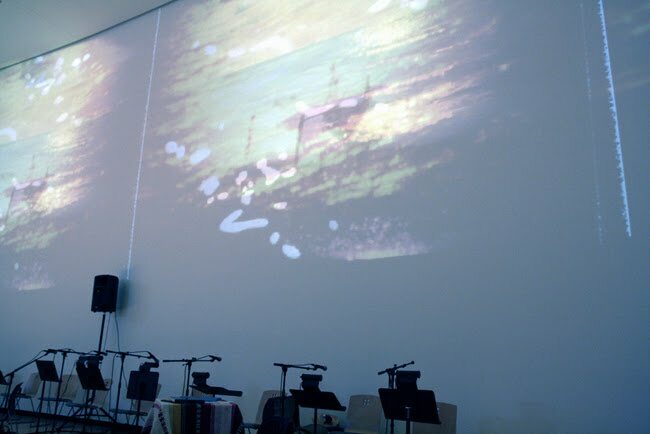 Not only did Reverend Bossen incorporate into his service readings from Cage's Anarchy and Lecture on Nothing, but Karin Tooley, church musician (and, interestingly, extensively engaged as a pianist for dancers), interpolated performances of Cage's Two Pieces for Piano, Ophelia, In A Landscape, and 4'33" as well. Reverend Bossen's sermon was so thoughtful, and his context for reflection so unusual by standard Cage measures, I can't resist sharing this with you, here, in transcript. Rumor has it that there'll be an mp3 audio version of this sermon available soon, accessed through the Unitarian Universalist Society of Cleveland's website, so do check back. 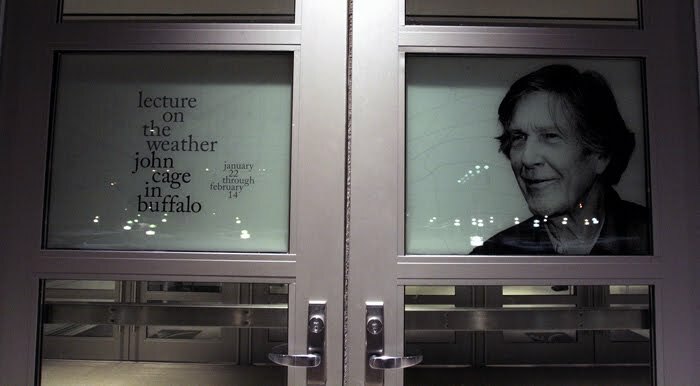 Last February, Emy Martin, who works here at the John Cage Trust at Bard College, attended The Burchfield Penney Art Center at Buffalo State College's closing weekend of Lecture on the Weather: John Cage in Buffalo, a marathon 23-day theatrical event organized by its Associate Director, Don Metz. 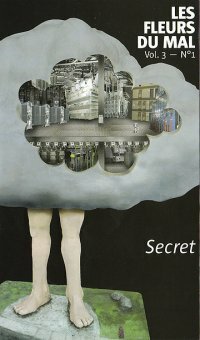 The title of this event refers, of course, to Cage's Lecture on the Weather, a multimedia stage work composed in collaboration with Maryanne Amacher and Luis Frangella on commission from the Canadian Broadcasting Corporation in 1975 in observance of America's bicentennial. 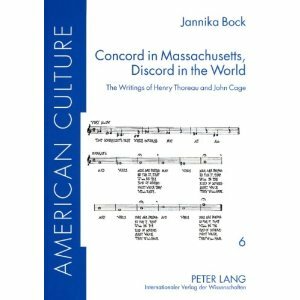 Based on texts of Henry David Thoreau, it's a work that brings together various elements -- speech, music, film, lighting, and a weather soundscape -- to form a softly political piece as relevant today as the year it was written. It was the work chosen for inclusion at the commemoratve 2007 concerts celebrating the placement of the John Cage Trust at Bard College, hosting an all-star cast: John Ashbery, Ralph Benko, Leon Botstein, Sage Cowles, Merce Cunningham, Jasper Johns, John Kelly, Garry Kvistad, Joan Retallack, Mikel Rouse, John Ralston Saul, Richard Teitelbaum, and a select number of extremely talented students from Bard's Conservatory of Music and Music Program. The work was performed twice, separated by a brief intermission, with a subtle change of cast. While we wait for an angel to sprinkle upon us the funds needed for a commercial release (and thanks in the meantime to Chris Andersen at Nevessa Production in Saugerties for painstakingly beautiful recordings -- stereo *and* Dolby surround! 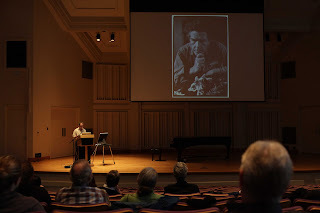 ), click here for a slideshow of images from the Bard College performances captured by Donald Dietz, accompanied by Cage's reading of his introductory "Preface" to the work, as heard in the premiere CBC performance. "The catalyst for this exhibition was a chance conversation with Jan and Diane Williams while walking through the east gallery at the Burchfield Penney. 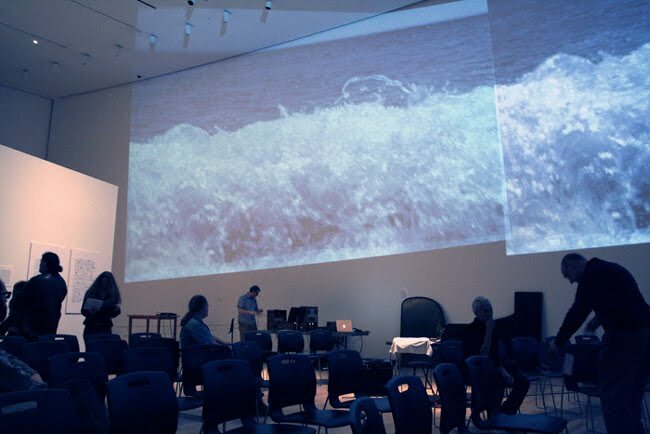 Jan had just participated in two distinct performances of Lecture on the Weather presented by the John Cage Trust: one at Bard College's Fisher Performing Arts Center and the other, co-sponsored by the Electronic Music Foundation, at the Chelsea Art Museum in New York City. Jan and Diane thought that the East Gallery would be an ideal performance venue for the work -- the 28' ceiling height for the film projections by Luis Frangella and the 5 1/2" reverberation for sound by Maryanne Amacher would work well here, we thought, if we could open up the gallery for a weekend sometime in-between exhibitions. As chance would have it, a change in our exhibition schedule provided an opportunity for a 23-day exhibition. After numerous conversations, it was decidedLecture on the Weathercould be performed four times during the exhibition's run, and we would project Frangella's film and Amacher's sounds that accompany the performance at non-performance times. After the customary research into copyright issues, the exhibition was set. 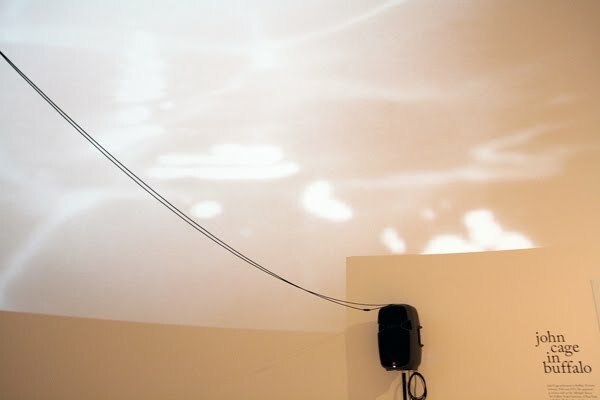 It became evident that we would need a computer to send the images and sounds throughout the gallery utilizing some kind of random playback system. I asked Brian Milbrand if he would be interested in assisting with this and he said yes. He told me that he and Kyle Price had recently created a piece for toy piano, interactive multimedia, and female voice in honor of John Cage. 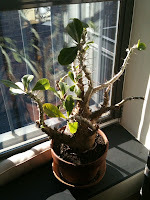 I asked him if he would be interested in performing it during the run of the exhibition. Brian spoke to Kyle and they readily agreed. I began contemplating other performances and thought about Sixty Two Mesostics re: Merce Cunningham. A pattern was evolving, and as I began talking to other Cage fans about the project, I would ask them if they would like to be involved. 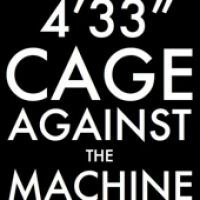 The enthusiasm was sensational, and as artists were added to perform both Cage's music and their own, I began imagining the exhibition as a 23-day theatrical performance. As works were selected, they were added to the random playback system to be presented at various intervals during gallery hours. At times, these recordings would overlap with live performances. As in a Cage "musicircus," the audience was situated in the center of the Gallery and free to move around while experiencing sounds from other galleries as they bleed into various spaces. In selecting artists and their proposed works, there was no real thought as to what would fit 'best.' I simply mentioned the project to people that I ran into who I knew were interested in Cage. If they asked to be involved, I simply said, Yes!" As Emy recounted, the feeling in the air over the course of the weekend was both incredibly organized and incredibly relaxed. So that there was enough discipline to listen, but also enough space to simply let your mind wander. As she put it, "Structurally everything was at ease, and those of us in the audience, like the performers themselves, had an unmistakeable calm about them". Which was no small feat, given the density of the programming. Click here for a PDF of the complete schedule of performances, and here for the final weekend's rendezblue "Chance Operations" program booklet. 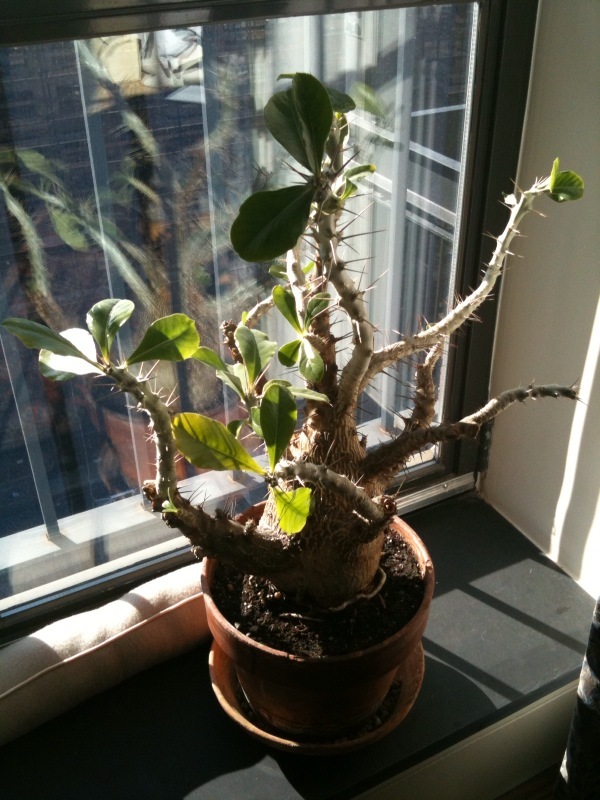 with works by: John Cage, Michael Basinki, John Bacon, Brian Milbrand, Andrew Deutsch, Kyle Price, J.T. Rinker, Tom Kostusiak, Jeff Proctor, John Toth, Bill Sack, David Lampe, Peter Ramos, Michael Colquhoun, Elliot Caplan, David Felder, Bohuslav Martinu, Jacob Druckman, Erik Satie, and Ron Ehmke. 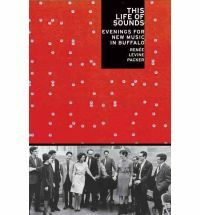 with performances by: A Musical Feast, Bugallo/Williams Duo, Bufffluxus, Buffalo State College Percussion Ensemble, Michael Basinki, John Bacon, Brian Milbrand, Andrew Deutsch, Kyle Price, J.T. Rinker, Tom Kostusiak, David Lampe, Ed Cardoni, Tony Conrad, Peter Ramos, Brad Fuster, Don Metz, Bill Sack, Ron Emke, Jeff Proctor, Michael Miskuly, Diane Williams, Jan Williams, Pam Swarts, Alan Kryszak, Michael Colquhoun, Daniel Darnley, Peter Evans, Jacob Frasier, Xiaohang Li, Mathew Tate, Cris Fritton, Jeannie Hoag, Mike Mahoney, Holly Meldard, and Steve Zultanski. 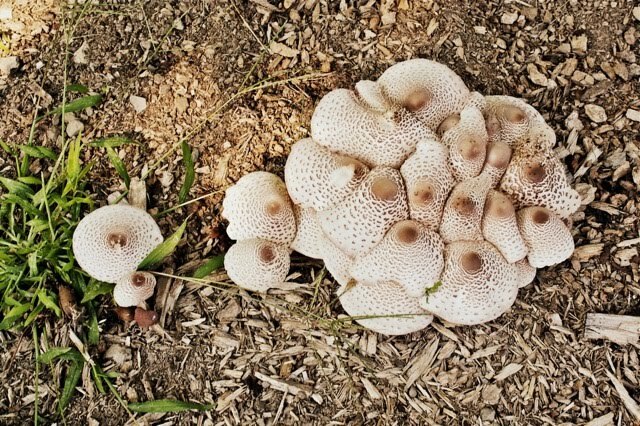 I alluded late last year, on the heels of our John Cage Symposium at Bard College, to an interesting talk given at one of the sessions by Bard's resident biologist and (more than) amateur watchsmith, Dwane Decker, entitled "Replicable Chance: Time as Structure in Aleatory Composition" (11/1/09, 10 a.m., Olin Hall). The audience was modest, as was the case for virtually all of the Symposium sessions, but the response in this case was particularly enthusiastic. Of course, any lecture on the subject of "Cage and Time" piques the interest of any Cage enthusiast, and even the laziest among us showed up for Decker's early morning talk. But no one could have anticipated Decker's unique vantage point, which was to explore Cage's use of (and interest in) time through an in-depth look at his personal timepieces. Decker's presentation has stayed with me for months -- perhaps as much for its intimacy as its originality -- and I'm very happy to say that he's agreed to let us link to a transcript of his complete presentation here. Well, not quite complete. 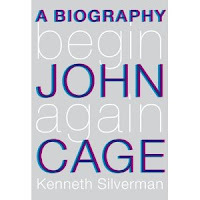 What's *not* included here is his really elucidating closing demonstration: a screening of Cage's performance of Water Walk (courtesy of the ubiquitous 1960 episode of "I've Got a Secret"), while at the same time manipulating, as Cage may well have done, the two synchronized second hands of Cage's own A.R. and J.E. Meylan stopwatch, which we were able to witness via microscope projections to screen. The audience was, to say the least, enthralled. 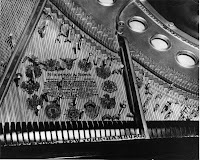 his doubles-as-a-doorstop, metal-encased Kodak Timer, reportedly used in several performances of his Concerto for Piano and Orchestra. 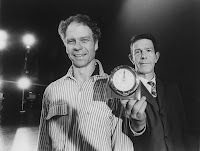 The Kodak Timer, of course, has been memorialized in Jack Mitchell's well known and quite marvelous photograph of John Cage, Merce Cunningham, and "clock" (c.1968). 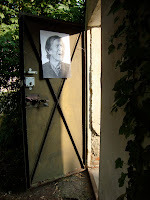 But while I'm on the subject of the John Cage at Bard College Symposium, let me share a slide show of some 90-odd images taken across the three days by the amazing photographer Donald Dietz. The presenters, performers, and all-around essential participants, many of whom you'll recognize, were Katherine Adamov, James Bagwell, Bob Bielecki, David Bloom, Jo Brand, Frank Corliss, Dwane Decker, Kyle Gann, Kayo Iwama, Michael Ives, Rebeccah Johnson, Erica Kiesewetter, Laura Kuhn, Peter Laki, Tom Mark, Emy Martin, Julie Martin, Robert Martin, Blair McMillen, Rufus Muller, NEXUS (Bob Becker, Bill Cahn, Russell Hartenberger, Garry Kvistad), John Pruitt, Joan Retallack, Marina Rosenfeld, Sandra Skurvida, Jenni Sorkin, Richard Teitelbaum, and Jason Treuting. And, of course, the many, many incredible students from the Bard College Conservatory, Music Program, Graduate Vocal Arts Program, and Center for Curatorial Studies. And thank you to Brian Nozny for his beautiful arrangement of Cage's Chess Pieces, reprised here, and Leon Botstein for the sumptuous opening day lunch.